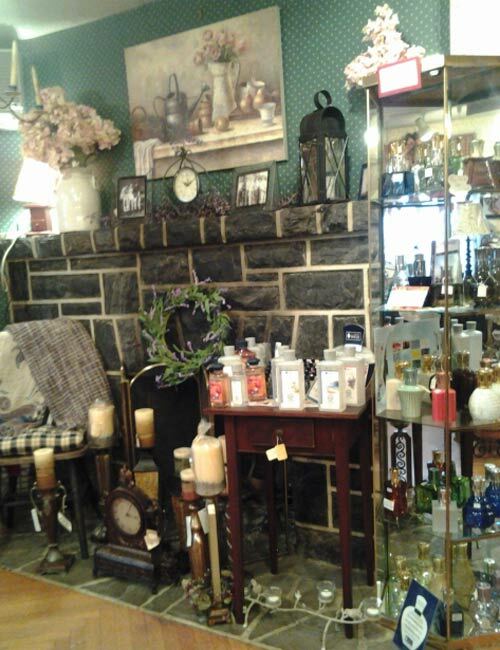 The Corner Shoppe is a cozy store, located in Gilbertsville, Pennsylvania. 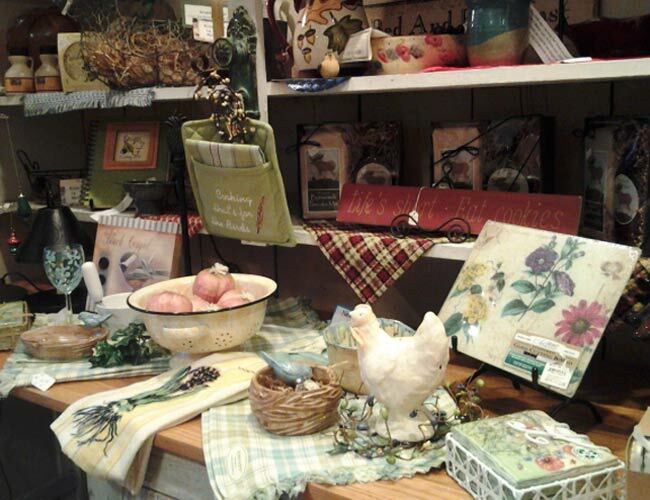 At the shop, you’ll find a myriad of country made gifts, décor, and collectibles. 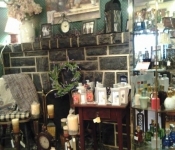 From handmade jewelry and pottery to country crafts and candles, The Corner Shoppe has the perfect gift for any style and personality, including gifts for men. We’ve searched everywhere for home décor items that reflect today’s casual and comfortable lifestyle while choosing trendy, affordable pieces. The Corner Shoppe has a wide selection of everyday wreaths, garlands and floral stems as well as season-specific ones in all shapes, sizes and prices. 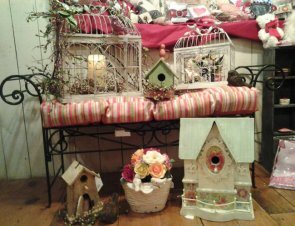 You will also find a large collection of Willow Tree figurines, tailored to fit almost any occasion. This iron bench with its “Climaweave” pillow would complement your vestibule or covered patio beautifully. The pillow’s fabric is mold and mildew resistant, so it can withstand most weather conditions. 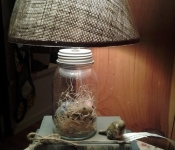 The wire “birdcage” is a perfect setting for a flameless candle and candle ring. Flameless, flickering flame pillars like this provide an extremely realistic appearance, along with the peace-of-mind that your home is safe from fire. The battery-operated timer keeps the candle on for five hours, and off for nineteen hours. 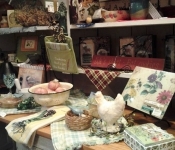 The Corner Shoppe, loves repurposing and recycling vintage everyday items into unique decorations for your home, as you can see in this photograph. A decorated Astor Coffee Can set atop an American Family kitchen scale from the 1940s. 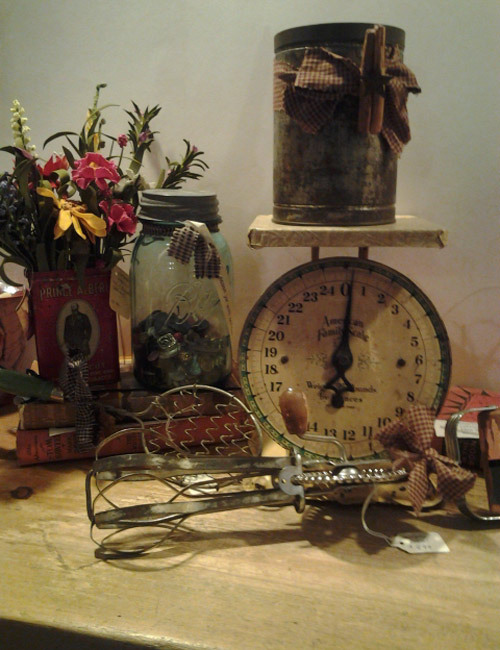 In the foreground, a Prince Albert tobacco tin, used as a container for flowers, sits next to a mason jar of buttons resting on antique books. Completing the vignette are an eggbeater and a whisk. 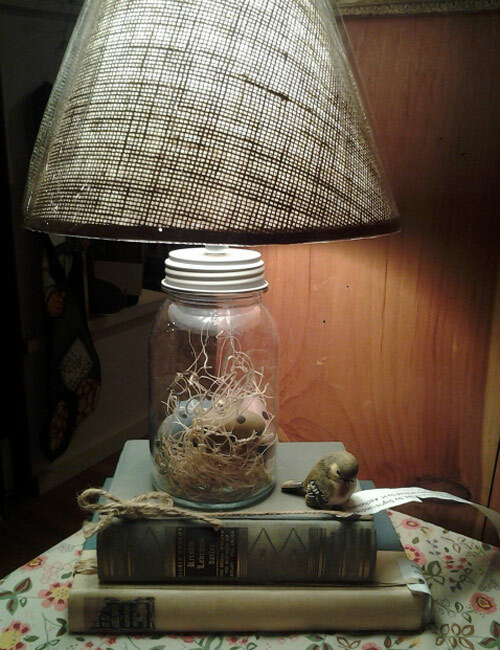 The contents of this antique mason jar made into a lamp can change for the seasons. This one contains painted eggs.